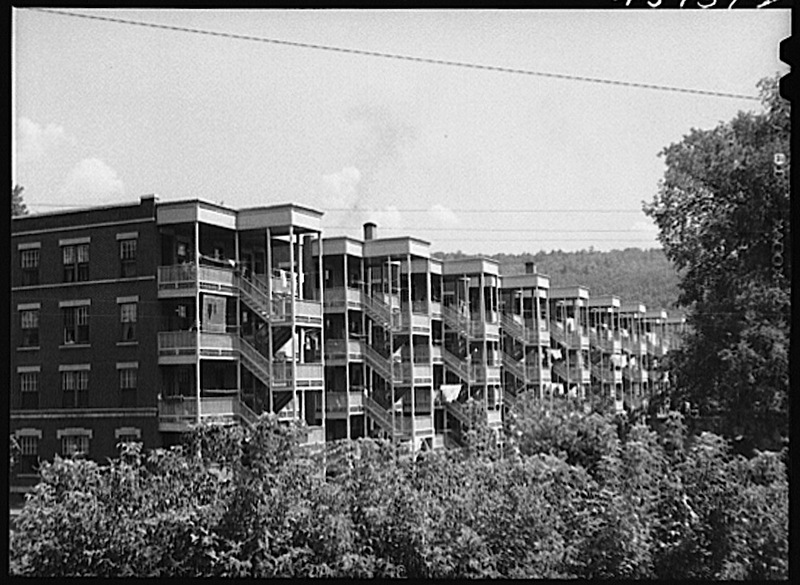 Back porches of apartment houses in Windsor, Vermont, 1941, by Jack Delano, via Library of Congress Prints and Photographs Division. The NAMCO Block* was built between 1920 and 1922 for the workers of the National Acme Company, the town’s main employer in the early 20th century. The building now has a place on the National Register of Historic Places.